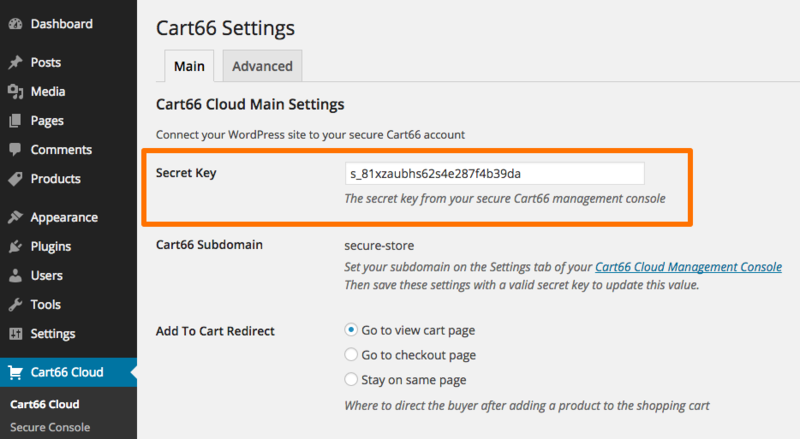 To make it faster and easier to set up your Cart66 store in WordPress, Cart66 will automatically create Cart66 Product pages in your WordPress site as you create them in your secure management console. Make sure your site is not in maintenance mode because that will block your secure management console from being able to communicate with your WordPress site. 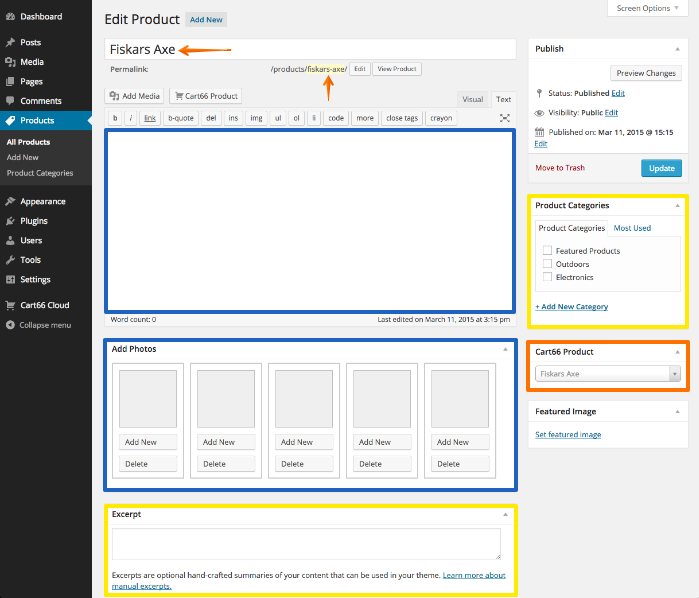 As you create products in the secure management console you will see product pages created in WordPress. The items marked in orange have been done for you. The items marked in blue still need to be done. The items in yellow are optional. You don't have to use these pages if you don't want to. You can still create products with shortcodes just like you have always been able to do with Cart66.